A routine health checkup in New York is slightly different than an annual physical exam. Most people that have a full body check up do so because they are concerned about the prevention and detection of diseases. Annual check-ups are designed to monitor a patient’s health, detect new health problems, formulate or adjust a health plan and to advise on new medications that might help alleviate symptoms of diseases. Conditions and diseases which require routine medical examinations and monitoring commonly include asthma, diabetes, COPD (chronic obstructive pulmonary disease), HPV, and more. 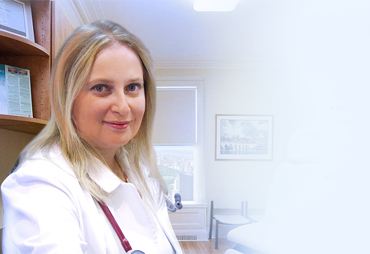 Not only will Dr. Gafanovich of Manhattan Physical Exams evaluate your current health and the progression of existing conditions, you will receive a full battery of diagnostic testing. Having a complete medical check up in NYC is the most important step a patient can take for their body and prolonged health. Why is it important to have a medical check up? We believe that you have to take special care of your body in order to live a healthy and productive life. This is especially true if you are diagnosed with a disease or have a family history of disease. A health checkup is a necessary step in taking control of your life and longevity. Routine checkups are a necessity, and Dr. Marina Gafanovich, makes it her goal to make you part of your health plan, and to educate you in healthy lifestyle choices during the checkup. If you are already a patient at our offices, you won’t have to fill out additional paperwork. If you are new to the office and concerned about the time it will take to fill out forms, we can contact your previous physician in order to get the information we need to begin. You may still be asked to verify the information we have on record and provide health insurance information. Who should get a general health check up in NYC? Any adult who is at least 18 years of age or older should come in for an health exam. Even if you feel fine, that is no reason to put off a thorough checkup. We encourage patients to be educated about their health, but don’t fool yourself into thinking you can diagnose yourself. Maintaining your health with a routine checkup will catch any issues before they become serious medical problems. A board certified doctor will be able to diagnose and treat you if there is something that needs to be addressed. The goal is to get you up to your operating potential and encourage continued health. What happens at full medical examination? First, the doctors and/or nurses at Mahnattan Physical Exams will evaluate your overall condition. Any obvious problems, such as obesity, are noted. If you have asthma or any other disease, we will compare your current health assessment to the last exam you had. This includes checking your vital signs, including your blood pressure, heart rate, respiration rate, and temperature. The doctor may ask you lifestyle questions during the exam, and an honest answer on your part is going to help you get the best possible treatment in the long run. The wait time to see the doctor depends on the day and of patients who are there. If you have an appointment, your wait time will be no more than 15 minutes. If you have an appointment, you should be in and out of the doctor’s office in about 45 minutes. While in our clinic, you will be treated with the upmost respect and care. You will be advised every step of the way as to your condition and test results. You can expect to be completely satisfied with the quality and superior level of care, as well as with our dedication to your health. Will I have to provide blood or urine samples? After the doctor has begun the checkup he or she will evaluate whether you need a urine test or a blood screening. One benefit of coming to our facility is that we usually get the lab results on the next business day. We understand how frustrating it is to travel back and forth between laboratories and your doctor. We have eliminated this problem in order to provide a smooth and efficient experience. Your time is as valuable as ours! Does it take long to see my results? The results of your exam are available as soon as the doctor has been able to evaluate it. Some of the results are ready in minutes, but others may take longer. If there is any pending issue, you will know the results in 3 to 5 business days. Is Insurance accepted for doctor checkups in NYC? Yes. Insurance companies have begun to recognize that a regular medical exam can save lives and money in the long term. Most medical insurance carriers will pay for all or part of annual checkup. We accept most national health plans like Cigna, Blue Cross Blue Shield and Aetna. Others may include United Healthcare, and more. If you do not see an insurance plan listed, call the office to determine if your plan is covered. You can also contact your insurance company to determine if we are within your network of coverage. Please note that your insurance company will advise if you are eligible for coverage, if any co-pays are required etc. Our billing department is always willing to walk an extra mile to assist you with that. When Should I Schedule my checkup? You can schedule when it is convenient for you. Although our regular business hours are Mon-Fri 10-5, you can make an appointment online 24/7, at your convenience! Our physical exams and routine health checkups are conducted by a team of dedicated doctors and nurses. If you have any questions, or if you would like to schedule an appointment, please don’t hesitate to contact us. We would be more than happy to answer any questions you may have about your physical exam or your health. Let us help you get your life on the right track.